Was that last Dean Koontz creepy enough for ya? Time for another story that will keep you up at night! 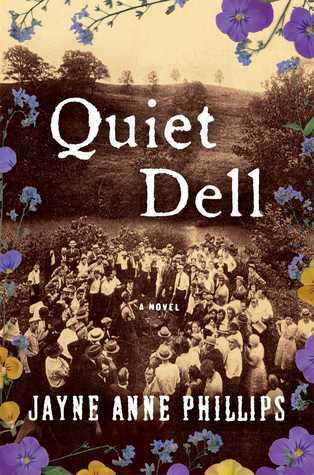 Quiet Dell is based on a true story-a true crime story in fact. You can read about the murders here, but essentially the book focuses on the victims of serial killer Harry Powers. After reading the Wikipedia page, I realized that Quiet Dell stayed quite true to the actual events, and if you’re wondering whether I’m citing Wikipedia as the only source I will refer to in this case, you would be correct. I typically take whatever Wikipedia states to be true, and this time will be no different, because quite frankly, I’m lazy. So, back to the book. What I found most interesting and insightful about this particular story was the fact that Phillips spent so much time at the beginning of her narrative introducing the family that is eventually murdered. In fact, because I didn’t read the blurb on the back of the book, I didn’t realize that an entire family is done away with in the story. As I read along, I assumed that the Eicher characters would somehow solve the mystery, because I doubted the fact that an author would spend so much space empathizing with people that were going to end up dead. Well, I was clearly wrong, and because you identify and grow to love these characters in such a short time span, their untimely death comes as a great shock, especially when you weren’t expecting it, which, I obviously was not. Strangely, I didn’t relate much to the fictional character of Emily Thornhill who takes up the majority of the book. She is a journalist that becomes entangled in the case, and serves more as a vehicle for the author’s thoughts than anything. Although she’s a nice enough woman, I didn’t relate to her as much as I did the murdered widow and her children, and she seems to take a back seat to the overwhelming presence of the victims throughout the storyline. In fact, I would go so far to say that her romantic storyline seems a bit of a stretch, and unlikely in the best of scenarios. But, it adds a nice uplifting interlude amongst the horror and death, so I see why it was thread that was included all the same. 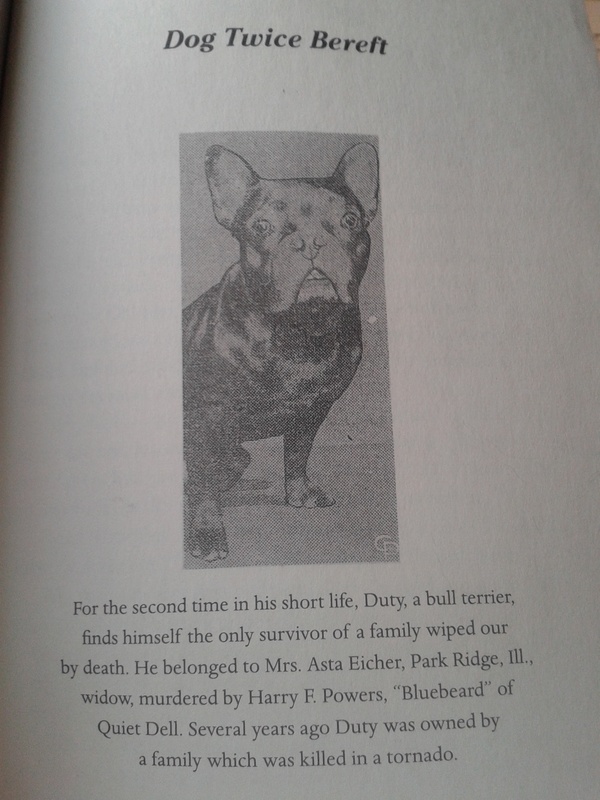 Because I’m an animal lover, my favourite character in the book was Duty, the bull terrier who originally belonged to one of the Eicher children, who then ends up in Thornhill’s care. In fact, there’s even a picture of Duty in the book, (among other photos, most too creepy for me to include here, but you can find them here if you’re curious) but after googling him, I think he’s unfortunately a figment of the author’s imagination, like Thornhill. And yes, after I’ve googled something a couple of times and no hits come up, I just assume it doesn’t exist; another example of my voracious research skills. Does it make me kinda weird to enjoy reading fiction based on true crime? Probably, although it’s a popular genre so I’m not the only one. 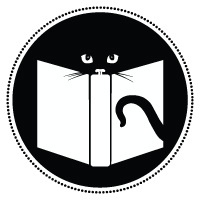 Plus, non-fiction accounts of true crime are typically much more detailed and gory, so if you’re interested in reading about a real life crime, but not ready to stomach the specifics, I recommend a book like Quiet Dell to get you started.